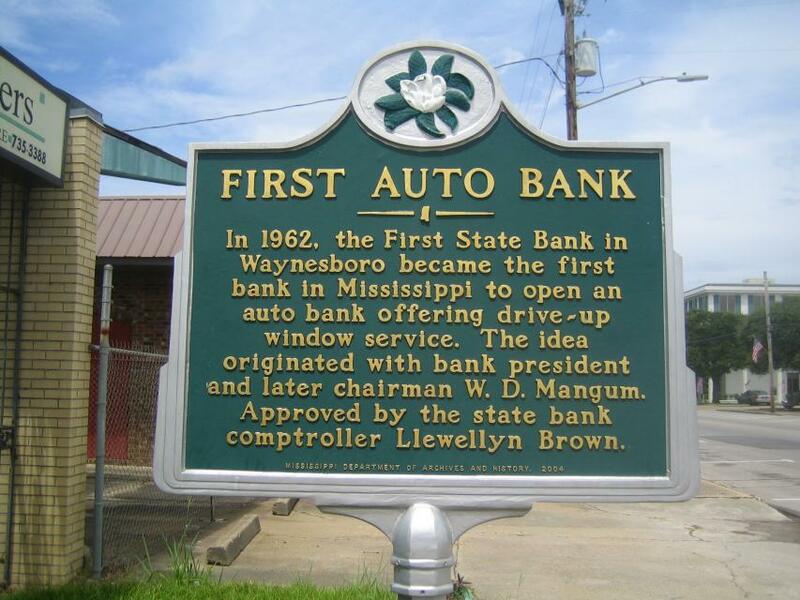 In 1962, the First State Bank in Waynesboro became the first bank in Mississippi to open an auto bank offering drive-up window service. The idea originated with bank president and later chairman W.D. Mangum. Approved by the state bank comptroller Llewellyn Brown. This marker can also be identified by its HM code. You can use the hashtag #HM1IUQ in tweets, and any other place where you might refer to this marker, including when searching on this site.